Microsoft statement that “Effective October 13th, 2020, Office 365 will only allow Office client connectivity from subscription clients (Office 365 ProPlus) or Office perpetual clients within mainstream support to connect to Office 365 services” in a post covering system connectivity for Office 365 is causing some concern and confusion in the user community. The same statement is made in System requirements for Office (365). The problem is the word “allow” as it implies that Microsoft will deploy a block within Office 365 to prevent older clients from connecting to services like Exchange Online. As it happens, Office 2016 exits mainstream support on the same day, which then implies that the perpetual-use version of Outlook 2016 would be blocked. A simplified ribbon: Users will have the option to collapse the ribbon into a single row of most commonly used commands. The ribbon will also be customizable where users can pin and remove commands from the ribbon based on their preferences and expand the ribbon back to the multi-layered, classic ribbon at any time. -Additional user experience updates to the folder pane, message list, message, and calendar read/compose screens. The updates include typographical, alignment and use of text color to simplify the experience, making it easier to use and more efficient for customers. All in all, Microsoft would very much like Office 365 tenants to use the click to run version of Office, or Office 365 ProPlus. Partners who attended Microsoft’s Inspire conference in Las Vegas in July 2018 received the message that ProPlus or Office 2019 is needed to connect to Office 365 after October 2020. The slide shown below has appeared in several LinkedIn posts that I have seen, accompanied in one case by a note that the Microsoft speaker spent about ten seconds reviewing the change. In many cases, Office 365 customers have many older clients deployed and might not see the logic of paying Microsoft more money for a higher-priced Office 365 plan that includes the Office clients when they have a perfectly good version of Office 2013 or Office 2016 installed on their desktops. If these customers don’t use the new features exposed in the click to run version (like the Encrypt Only feature in Outlook 2016), then why update? This is a dance that’s been going on for years. Microsoft brings out a new version of Office roughly every three years and promptly tries to convince customers to upgrade. Some do, some don’t. More update quicker these days because of the click to run version, but there’s still people clinging on to their favorite old version of Office. In any case, the word “allow” actually means “support,” or so we hear from sources within Microsoft. In other words, you’ll still be able to connect an older Office client to Office 365 after October 13, 2020, but if you run into problems you shouldn’t expect any sympathy or support from Microsoft. There’s no word yet when Microsoft will change the wording of their statement. I expect them to because of the obvious confusion it has caused, but we shall have to wait and see. This is the kind of stuff that we follow assiduously in Office 365 for IT Pros. 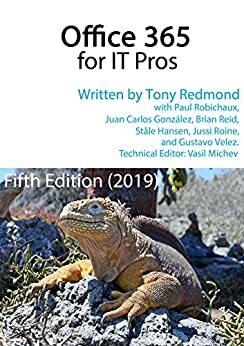 Read all about Office 365 clients in Chapter 10. We’ll keep that chapter updated as this topic evolves. Thanks for the clarification on “allow” vs. “support”. Can you share the source? Not right now. Things are in motion and I’d prefer to wait for Microsoft to clarify the position.